AdSpeed's Video Ad Server uses the IAB standard for video advertising known as VAST (Video Ad Serving Template) so video ad serving can be used with any video player that supports VAST. You can find the list of several VAST-compliant video players at the end of this page. Video ad serving is included in all of our Premium plans at no extra charge. All ad impressions are counted and priced the same way, whether it is a video ad, a banner ad, a text ad, or any other ad format we support. This makes AdSpeed a great platform for your video ad serving, management, and tracking needs. 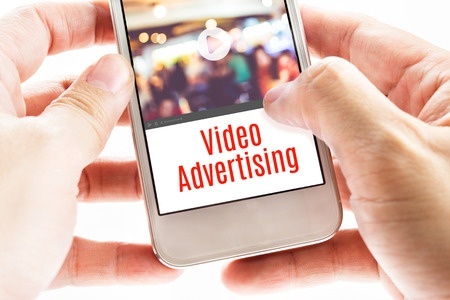 You can create a linear video ad with a few simple steps. Create a new ad and choose the ad type to be "Video Ad - Pre/Mid/Post-Roll"
Once the ad is saved, click on "Ad Tag" tab for instructions and examples to integrate with your video player. Our video ad server can serve third-party video ads using a VAST wrapper. You simply choose "VAST Wrapper URL" as the video ad type and enter the provided third-party VAST link. To maximize revenue, you can rotate multiple regular video ads together with third-party wrapper ads within a single video zone. Our video adserver will provide the primary VAST link that you can put into your video player. For this functionality to work, please make sure your video player supports VAST Wrapper (version 2+). A non-linear ad, or an overlay ad, displays near the bottom while the main video is playing. You can get the non-linear/overlay VAST URL for any ad or zone. Video events are recorded and reports are available from the menu "Reports/Event". Impressions and clicks are available in the Basics report. Progress tracking (start, first quartile, mid-point, third quartile, complete) and other user actions (pause, resume, full-screen, mute, unmute) are available from the Event reports. A gross count of ad requests can be enabled to compare played/viewed video ads and served ad requests. Get multiple ads from multiple zones. This example gets 2 ads from zone 12345 and one ad from zone 67890: vastver=3&zids=12345x2-67890. Notice in this case, it is zids instead of zid. Below are some video players that support VAST to display video ads. "Video Multiple Ad Playlist, or VMAP, is an IAB industry standard that enables flexible and powerful scheduling for multiple VAST ..."
"VAST 3.0 and newer supports error reporting with a specific code to assist troubleshooting. If the video player cannot handle, ..."
"If you have multiple version of a video ad with different bitrates or resolutions, you can set up these media ..."